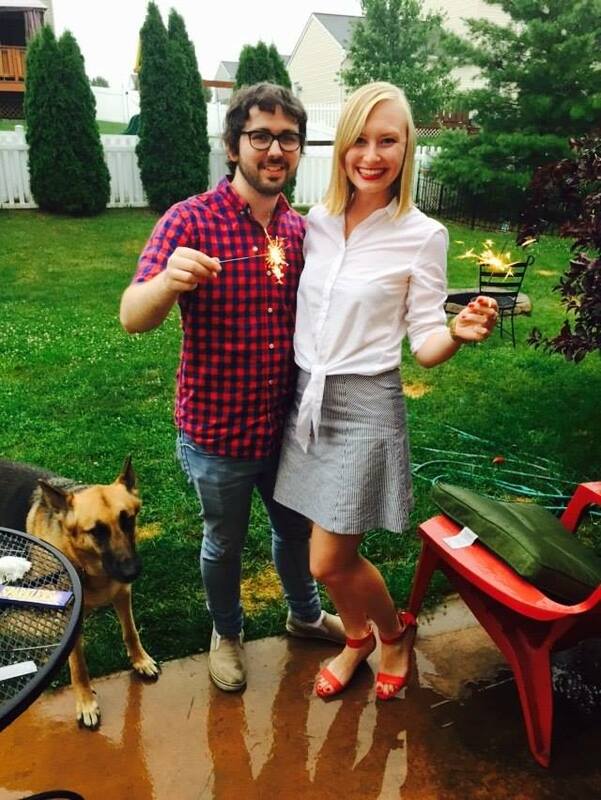 I hope everyone had a great Holiday weekend! 4th of July is always one of my favorite holidays. 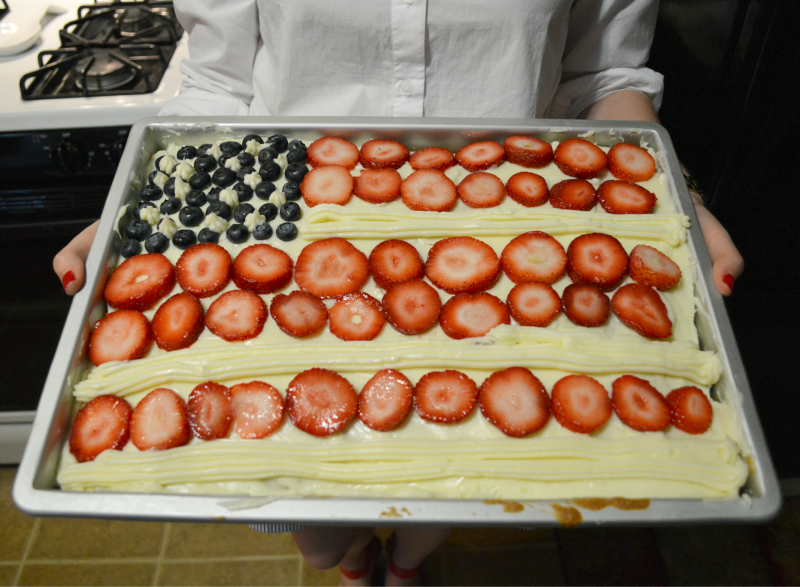 I love any excuse for a cute red, white and blue combo and a chance to play with sparklers and to bake a flag cake. I went home to my parents house for the weekend. 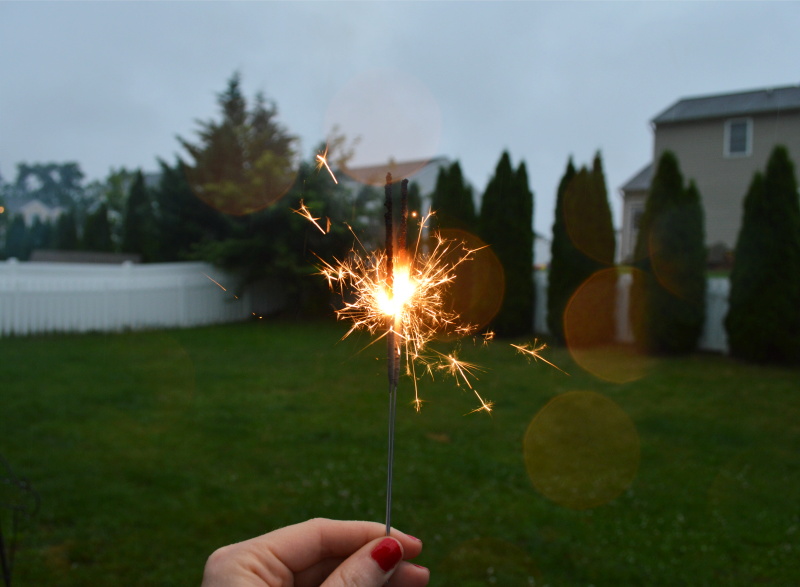 Last year I spent 4th of July in the city, so it was a nice change to spend it out in the country this year. 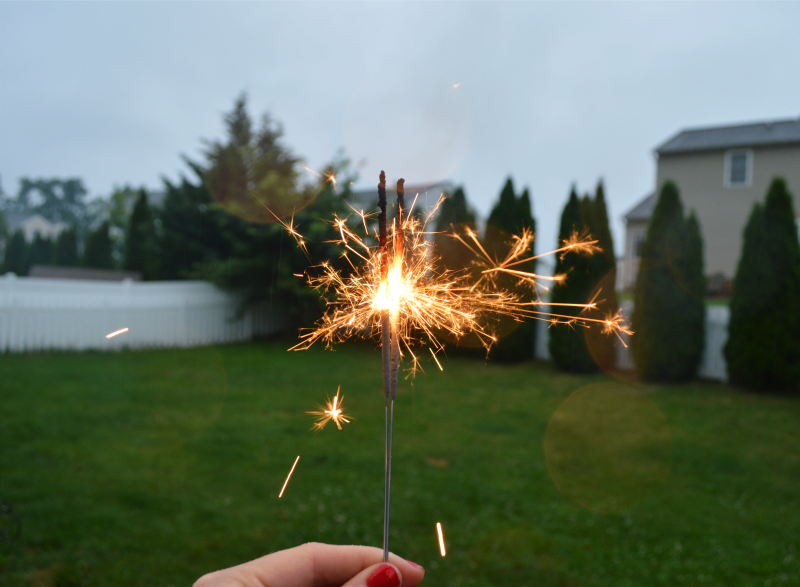 It was a quiet and rainy weekend but that didn't stop us from playing with fireworks. I also got to spend Monday with Derek, my family and my best friend! What could be better? 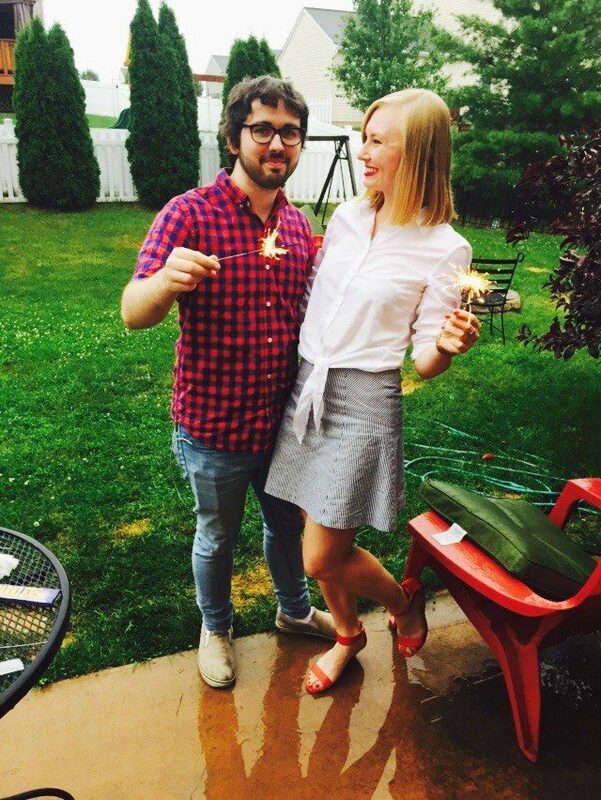 I wore this seersucker skirt last year for 4th of July and I couldn't help but wear it again this year! 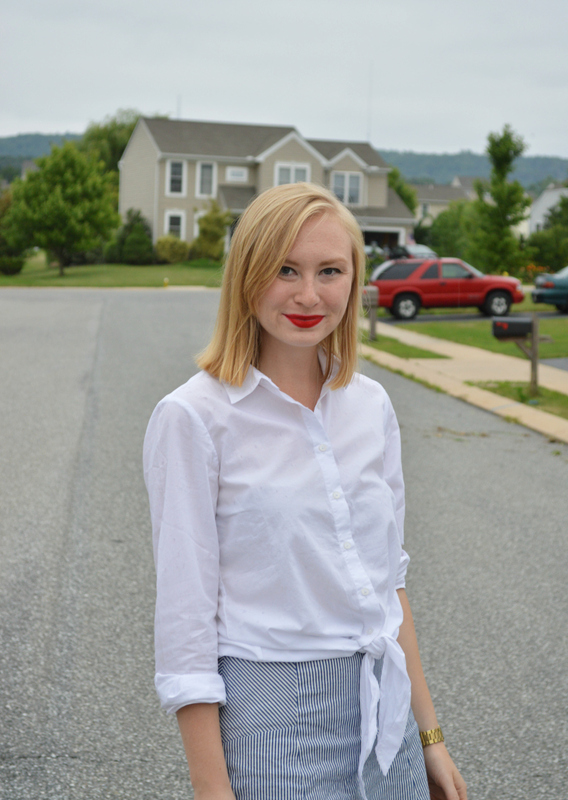 I bought this front tie top a few weeks ago and it's been on constant repeat in my wardrobe since then. 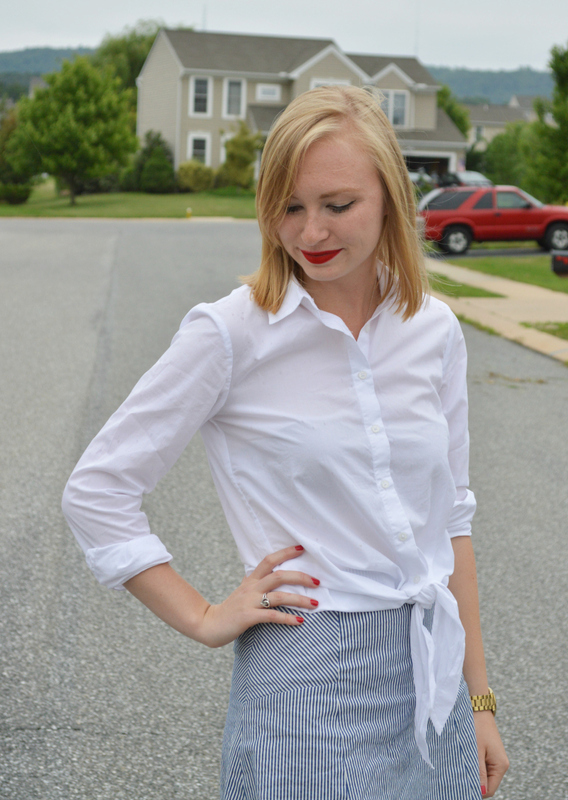 Classic pieces are my absolute favorite for summertime and both the skirt and top are two items I think I will continuously wear for summers to come. I decided to add pops of red with my nails and shoes. 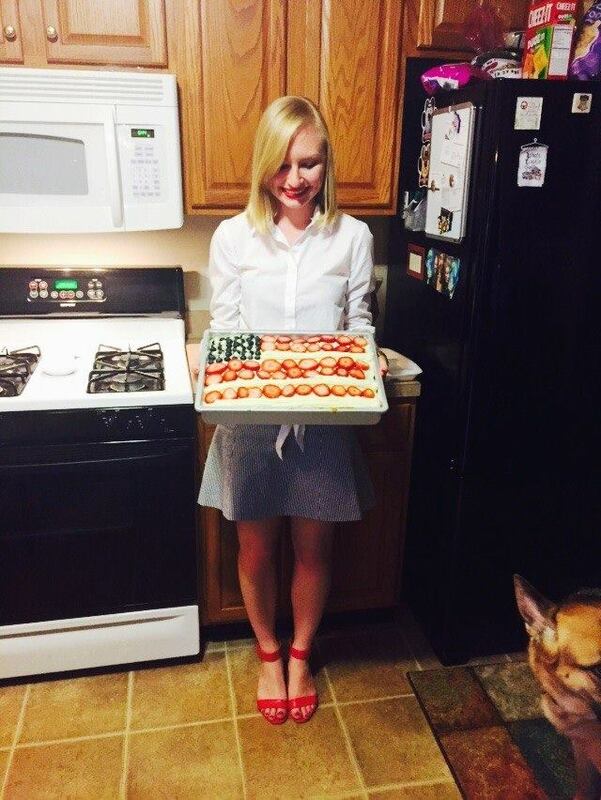 How did you celebrate the holiday? Oh this looks wonderful! I love love love your outfit. That skirt is AMAZING. Prefect outfit for the 4th. It ended up raining all day. So I spent the day playing board games. That cake is so cute! Also love this outfit and those photos of you and Derrick, adorable! Cool, simple and decent outfit. Classic all-American! 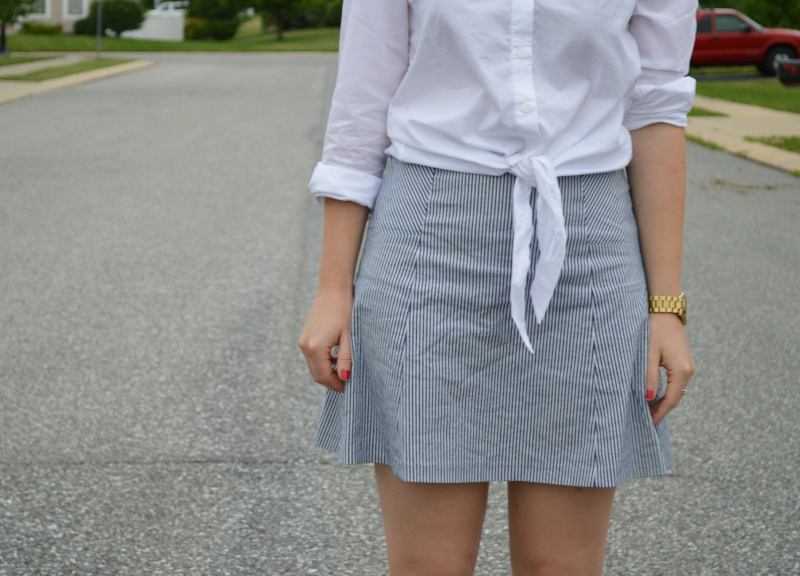 I love the skirt and cute tie top!